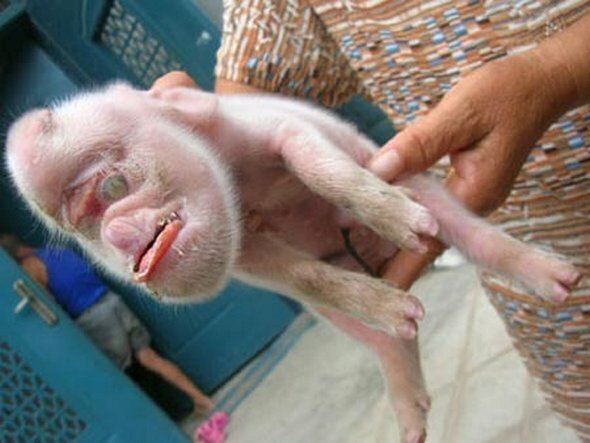 This odd looking animal was one of five piglets born to a sow owned by a family in Fengzhang village, Xiping township, China. 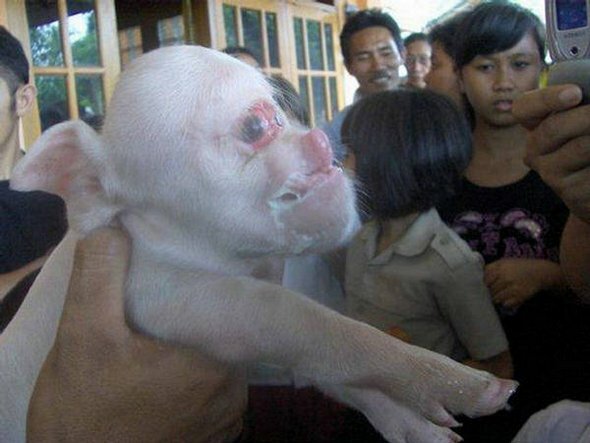 The mutant pig has a simian jaw, bulging forehead, small snout and eyes that are so close together that they appear almost attached. Its front legs are much shorter than its back legs, causing it top hop rather than walk on all fours like a normal piglet. 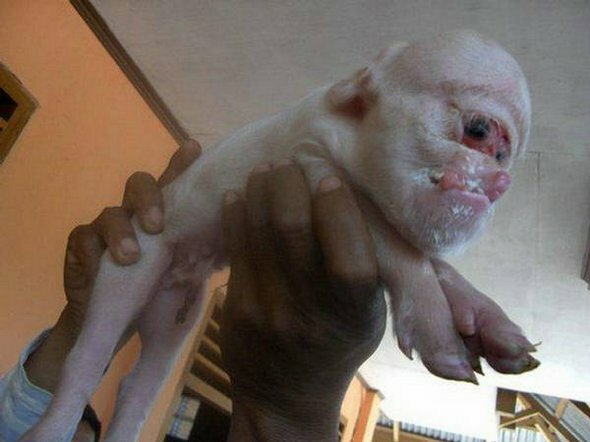 The piglet’s rare condition is thought to be caused by a form of holoprosencephaly, a brain development disorder that can cause cyclopia, the failure of eyes to properly separate. “It’s hideous. No one will be willing to buy it, and it scares the family to even look at it,” owner Feng Changlin told the Oriental Today newspaper. The freaky monkey-piglet became a local tourist attraction, with people coming from across the area to photograph its remarkable features. And not everyone in the family is disgusted by its appearance. “Our son likes to play with it, and he stopped us from getting rid of it. He even feeds it milk,” said the owners wife, Mrs Feng.